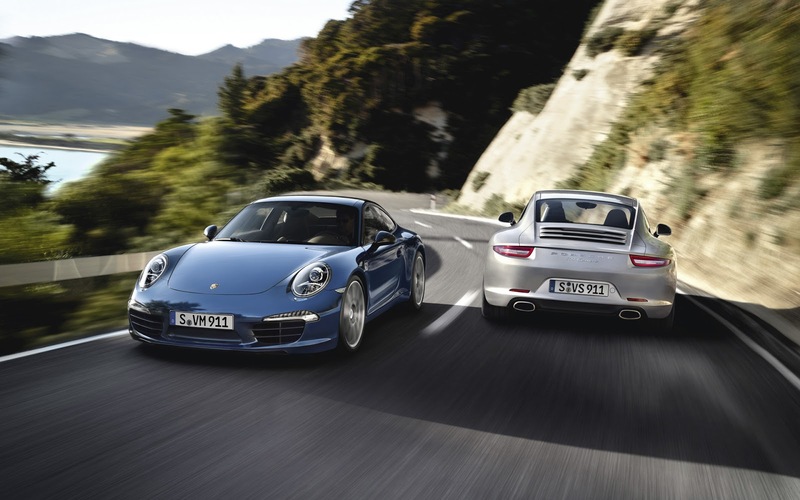 For the second time in a row, the latest Porsche 911 Carrera is the winner in the sports car category of the renowned readers' poll “The best Cars”. 28.5 per cent of all participating readers were won over by it. For the 911 model range, this new success in the readers' poll means nothing less than the 34th top prize by the professional journal. The cabriolet version of the 911 won in its class one of three further silver medals for Porsche. The Porsche Panamera was able to take second place in the luxury class; the Porsche Cayenne came in second in the field of SUVs. Matthias Müller, President and CEO of Dr. Ing. h.c. F. Porsche AG, accepted the prize for the top-ranking winner, the 911 Carrera, presented to him by Ralph Alex, editor-in-chief of “auto motor und sport” in Stuttgart. “I’m thrilled by the loyalty shown to the Porsche 911 by the magazine’s readers. It’s just a shame that the readers’ poll hasn’t been going as long as the 911, otherwise we could perhaps have even been celebrating a golden anniversary here today,” said Müller at the presentation in Stuttgart. For the 37th time, the readers of “auto motor und sport” were given the opportunity of choosing “The best Cars”. The 112,000 participants had a choice of more than 373 models. The popularity of the 911 Carrera is not only reflected in the results of the readers' poll but in the delivery figures as well. A total of 25,457 of the sports car classic were delivered in 2012, corresponding to an increase of 31.4 per cent in comparison to the previous year. Is the Range Rover Sport L494 the New Ford Flex?